2 Doubles with en suite. 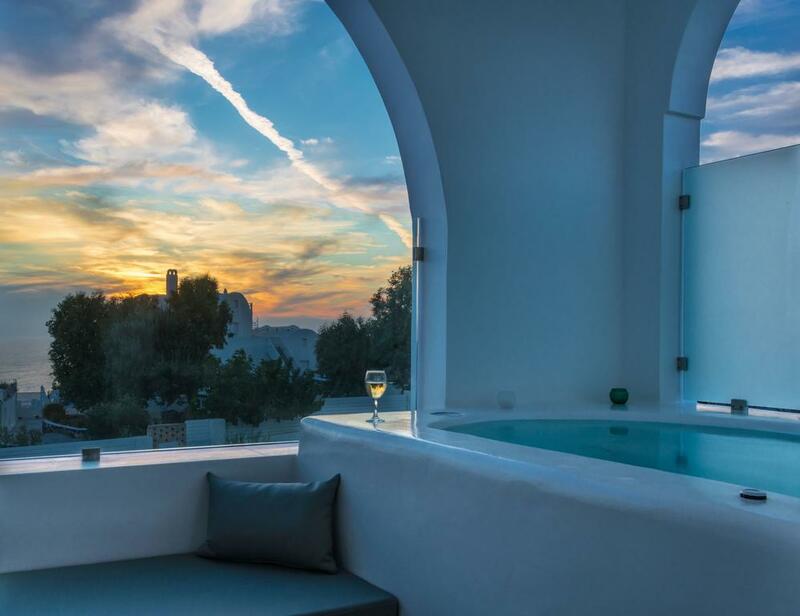 Plus hot tub on the terrace. 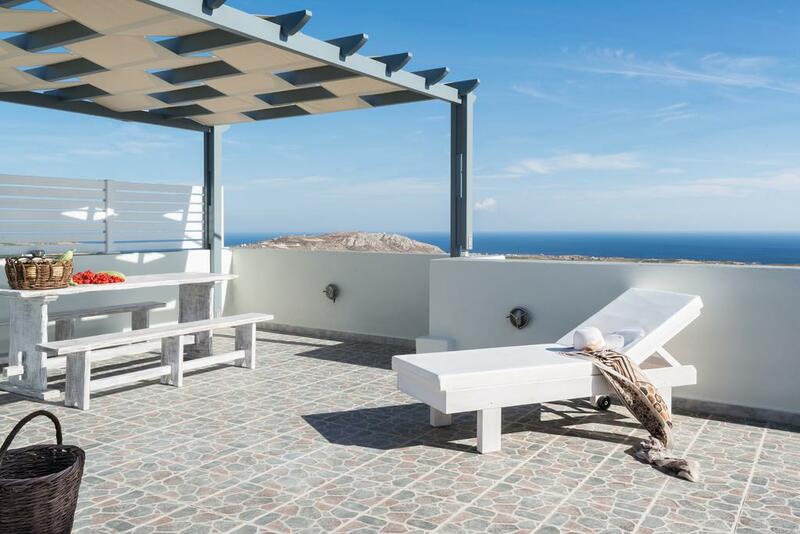 This delightful property is located just 50 meters from the caldera of Santorini in the Village of Megalochori. 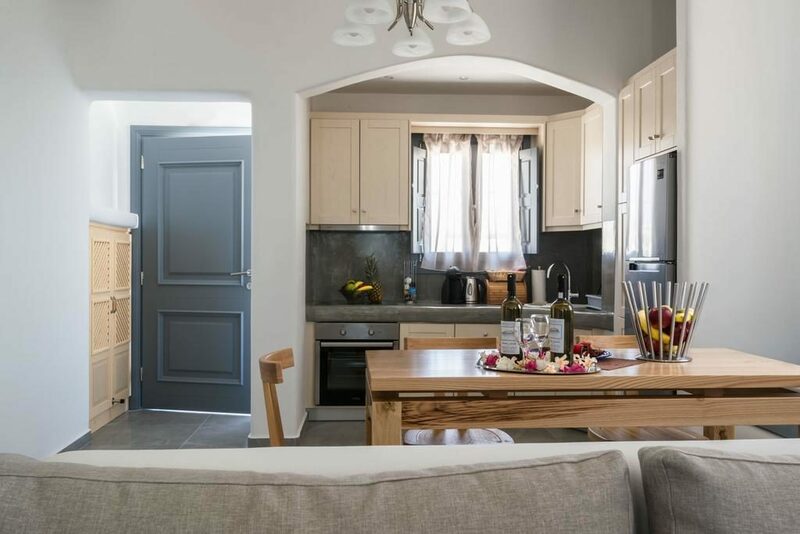 The property features 2 double bedrooms both with en-suite bathrooms, living room with built-in couches and dining area for at least 6 guests, Wi-Fi, and TV. 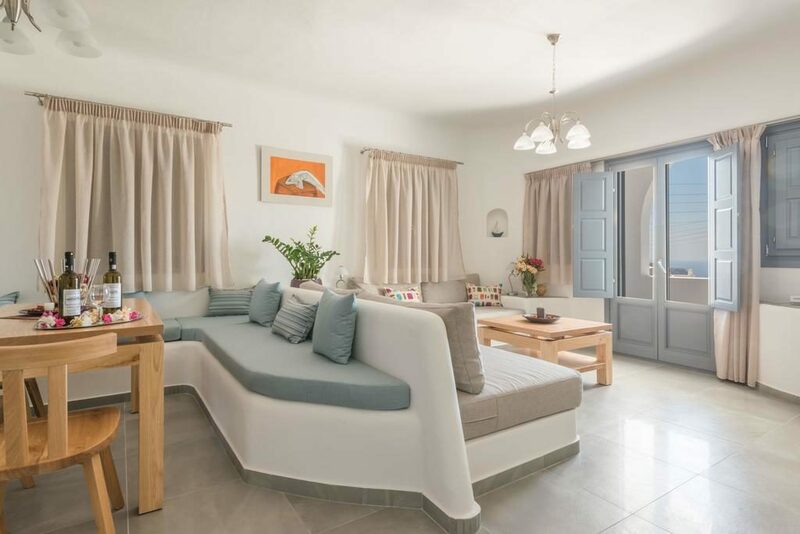 One of the bedrooms faces west and has wonderful views of the Akrotiri caldera, the second bedroom faces east with views of the highest mountain of Profitis Elias and the sunrise. 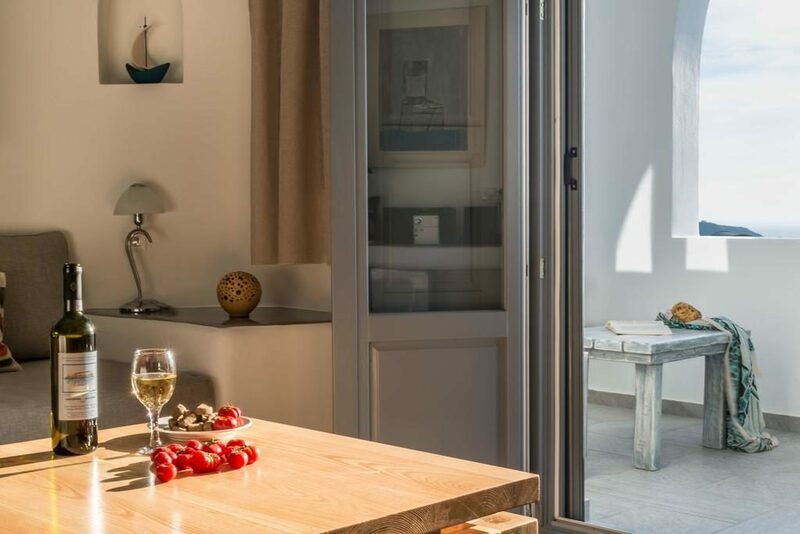 The villa has an attractive part covered terrace has sun loungers and outdoor furniture making it a great place to relax or enjoy an early evening drink as the sun sets over the caldera. 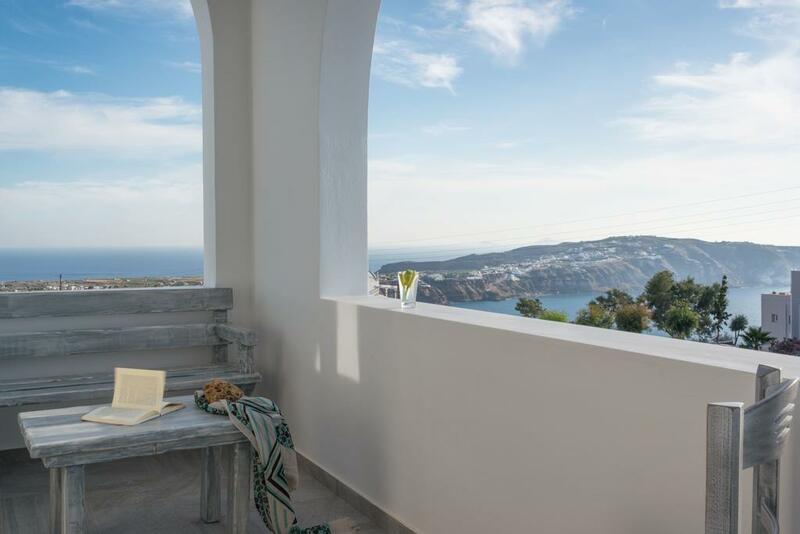 Another special feature of the house is the outdoor tub located on a small balcony also with great views of the caldera. Bedroom 2: Double bed, en-suite bathroom with shower, A/C, heating, LCD TV with sat connection. Kitchen: Modern and well equipped, including washing machine and coffee maker. House service: Daily cleaning with towels and sheets changed every 2 days. 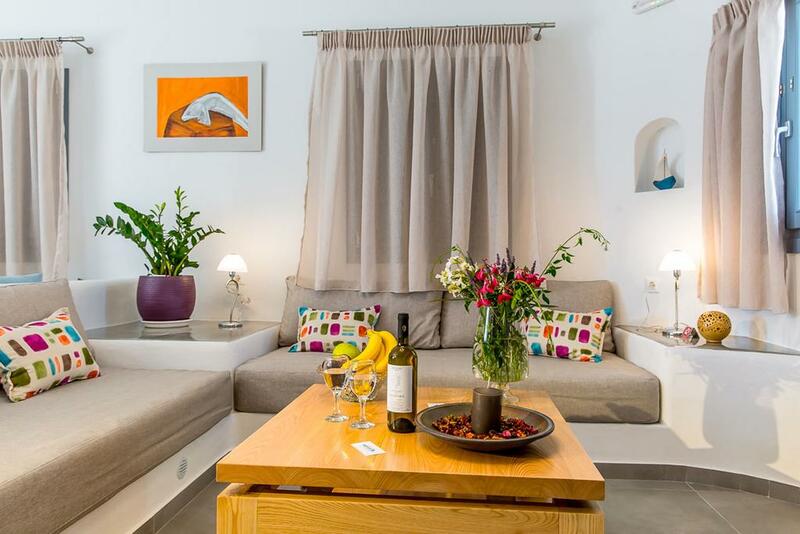 Minimum stay: Depends on the season, please contact us for more information. 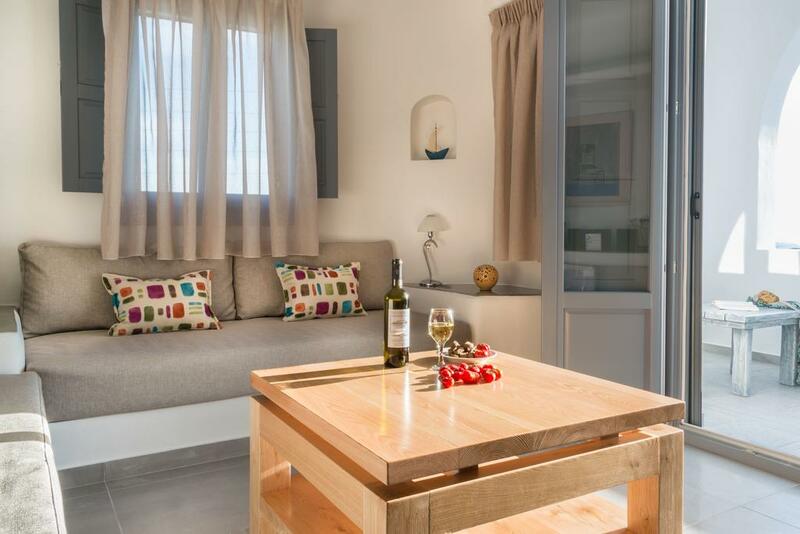 These rental rates include Free WiFi, LCD TV with sat connection, free outdoor private parking area, air con, and heating. Towels, sheets and bathroom accessories renewed every 2 days.